Yanks had a better offseason plan than the Red Sox, and that's why they are the pick for No. 1. A look at how the American League teams compare with one another heading into the 2019 MLB season. Last year, the Yankees finished eight games behind the Red Sox in the AL East, lost to them in the Division Series, then watched their ancient rivals win the World Series, Boston’s fourth in 15 seasons. If anything, that painful chain of events was supposed to push Hal Steinbrenner to a winter spending spree, especially after the Yankees worked so diligently to stay below the $197-million luxury tax. So what happened? Brian Cashman passed on both Manny Machado and Bryce Harper, opting to reload instead with more strategic pieces: fortifying the rotation, stacking the bullpen and adding to the team’s roster depth overall. It was the better offseason plan, choosing smart over splashy, and that’s why the Yankees are the pick for No. 1 in the American League. Judge is right. The Yankees return the same youthful foundation that won 100 games a year ago, but also have the prospects down below to pull off a significant mid-season trade if necessary. As good as the Yankees are now, we expect them to get better, and Cashman has every reason to be confident. As long as those people stay on the field, the Yankees are going to be a wrecking ball again. They broke the Mariners’ single-season record by crushing 267 home runs, despite Judge missing nearly seven weeks with a fractured wrist and Gary Sanchez, who was slowed by a nagging groin injury, contributing only 18 -- a little more than half of the previous year’s total. If Troy Tulowitzki can stay upright at shortstop, and the Yankees can get steady power production at first base, from either Luke Voit, Greg Bird or both, this is an even more dangerous minefield for opposing pitchers to navigate. 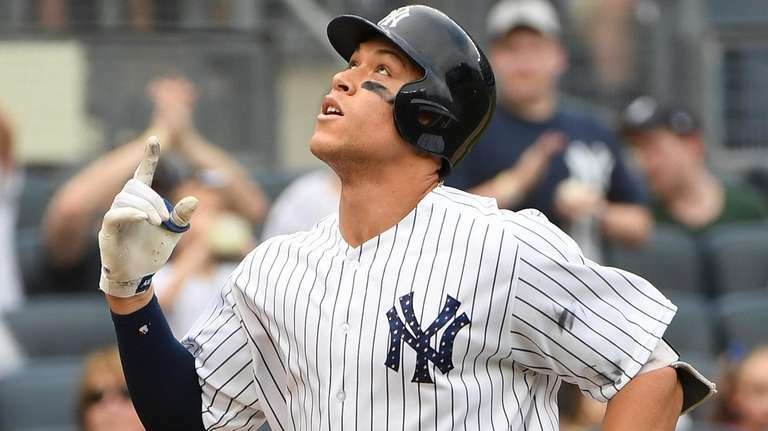 Sure, losing Didi Gregorius (Tommy John surgery) for the first three months hurts, but as currently constructed, these Yankees shouldn’t miss a beat. 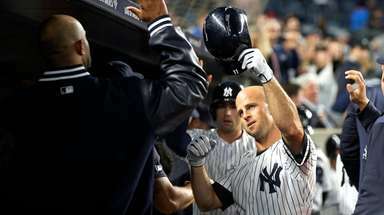 Judge and Brett Gardner already are on record saying this year’s team will smash last year’s home-run mark, and that will go a long way toward helping an upgraded pitching staff that is better overall, even with ace Luis Severino (rotator cuff inflammation) on the shelf for a month. J.A. Happ is back, James Paxton has replaced the miscast Sonny Gray and CC Sabathia gets his farewell tour in the fifth spot. The bullpen, however, is where the Yankees really distance themselves, especially from the defending world champs. On any given night, manager Aaron Boone has four closer-quality arms at his disposal -- with Adam Ottavino replacing the departed David Robertson -- and maybe five if you count the reliable Chad Green. It’s just another strength for the Yankees, who are as loaded as ever. And eager to take care of some unfinished business. The 2017 champs are a top-loaded threat that again should be dangerous in October, particularly in a short series, with Justin Verlander and Gerritt Cole as the 1-2 punch at the front of the rotation. Beyond those two, however, it’s a different cast, with Dallas Keuchel and Charlie Morton gone and Lance McCullers Jr. lost to TJ surgery. Wade Miley isn’t as scary. Even still, the problem will be outscoring the Astros, who feature four MVP-caliber sluggers at the heart of their lineup: George Springer, Alex Bregman, Jose Altuve and Carlos Correa. With Marwin Gonzalez off to Minnesota, the Astros brought in Michael Brantley, who batted .309 with 17 homers and an .832 OPS in 143 games last season for the Indians. They also should benefit from a full-season of closer Roberto Osuna, who had 12 saves and a 1.99 ERA in 23 appearances since being acquired from the Blue Jays in a deadline swap. So, what can Alex Cora do for an encore? In his first Fenway season, Cora had Red Sox Nation eating from his hand, rolling to a franchise-record 108 wins and owning October by beating the Yankees, Astros and Dodgers. 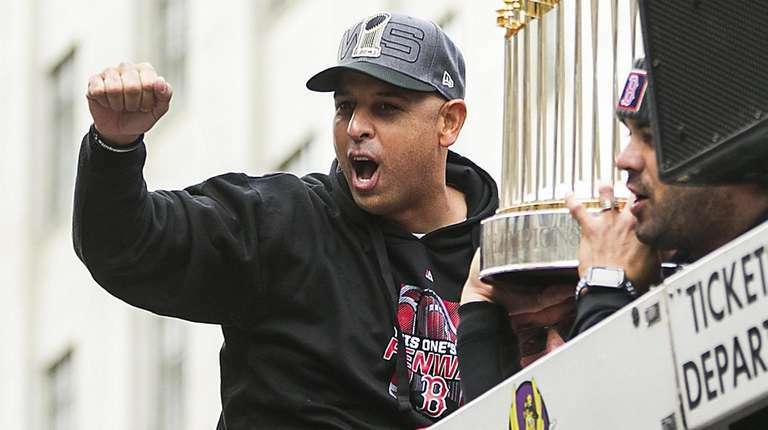 The Red Sox spent $235 million for their fourth title in 15 seasons, but is there more pressure to repeat after what Cora made look so easy a year ago? “The market was going to be like that way anyway,” Cora said, smiling. “That’s how it works here. That’s how it works in New York. Chicago. I mean, well, most places. Let’s put it that way.” GM Dave Dombrowski increased the degree of difficulty by refusing to go the free-agent route in replacing Craig Kimbrel and Joe Kelly -- now it’s Matt Barnes, Brandon Workman and Ryan Brasier in those roles -- so the Sox’s bullpen is definitely suspect. Plus, can Chris Sale stay healthy for the entire season? Cleveland is used to rough winters in the Rust Belt, and this offseason wasn’t a great one for its baseball franchise, which didn’t do much to upgrade an Indians team that should win the AL Central -- but probably can’t go toe-to-toe with the Big Three come October. Carlos Santana, the former Phillie (and briefly Mariner), replaces Edwin Encarnacion, but the other two notable acquisitions were a pair of ex-Mets, Kevin Plawecki and Oliver Perez. Another bit of sobering news: Francisco Lindor, the perennial MVP candidate, spent spring training trying to rehab from a calf strain that left him questionable for Opening Day. On a positive note, the Indians still boast a formidable rotation that’s fronted by Corey Kluber, Carlos Carrasco and Trevor Bauer -- a trio that can dominate any short series. The Indians are gunning for their fourth straight division title, but losing that 3-1 World Series lead (2016) to the Cubs left a mark, and it’s going to be hard to get much closer in the future. Did not make the playoffs. Dumping Hall of Famer Paul Molitor, the Manager of the Year in 2017, didn’t seem like a very Midwest thing to do by the Twins, who made it as far as a wild-card loss to the Yankees during his tenure. And a large piece of their identity was shed as well at the end of last season when Joe Mauer called it quits. But the Twins could benefit from some page-turning with the naming of Rocco Baldelli as manager -- a product of the Rays’ analytical thinking -- as well as some nifty additions this winter. Signing the ageless Nelson Cruz (he’s 38) as DH will supply some much-needed pop, along with first baseman C.J. Cron, who hit 30 homers for Tampa Bay last season. Minnesota also took advantage of the slow market to grab super-utility man Marwin Gonzalez and tabbed Jonathan Schoop for second base. If the Twins finally coax the potential from Byron Buxton and Miguel Sano, they could challenge the Indians. Turns out, Bryce Harper’s campaigning for Mike Trout had the opposite effect as the Angels have guaranteed their two-time MVP will retire in SoCal, thanks to a 12-year, $432M contract extension. 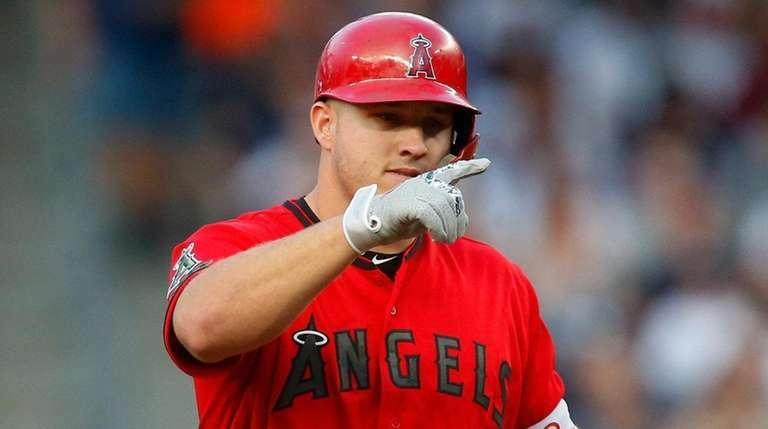 But with Trout’s future secure, that begs the question: now what? This isn’t the NBA, so Trout can’t put a team on his shoulders like Lebron, and it’s unclear if the Angels have put enough around him. Bringing Matt Harvey to Hollywood — or at least Newport Beach — may not be the best idea, given his past issues with the Big Apple scene. But he’s only on a one-year deal worth $11M, and the Angels saw enough from him this spring to name him No. 2 starter. Beyond that, Brad Ausmus replaces Mike Scioscia, who held the manager’s job for 19 seasons, and the Angels will have to wait for Shohei Otani — last season’s Rookie of the Year — to become a two-way threat again after TJ surgery. 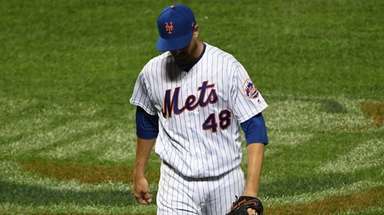 Playoffs: Lost wild-card game to Yankees. The A’s like to be cutting-edge, thanks to the Moneyball man himself, Billy Beane. But Oakland appeared to outsmart itself last October by using Liam Hendriks as its wild-card game “opener” in the Bronx, where the Yankees ultimately rolled to a 7-2 victory. Can the A’s be crafty enough to get back to the playoffs after their surprise 97-win season? It’s going to take some creativity from Manager of the Year Bob Melvin, who has a rotation led by Mike Fiers and Marco Estrada. 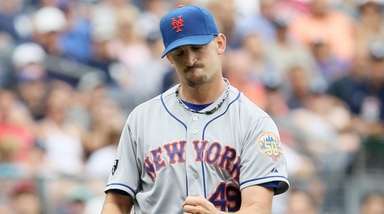 The star of the pitching staff is closer Blake Treinen, and the A’s tried to improve the bridge to him by signing set-up man Joakim Soria and the Mets’ former lefty specialist Jerry Blevins. MVP candidate Matt Chapman and slugger Khris Davis -- who’s averaged 44 homers the past three seasons -- are the lineup’s main threats, and the A’s are hoping new pickup Jurickson Profar can build off last season’s breakout with the Rangers. Top pitching prospect Jesus Luzardo can’t get to the majors soon enough. Tropicana Field may be an unsightly mess for baseball, but it makes for a great laboratory, as the Rays’ front office is always cooking up some new scheme for the next season. First it was the exaggerated infield shifts under Joe Maddon, then last year’s “opener” sensation that flourished in Tampa Bay with Kevin Cash. The Rays are typically outspent by more than $100 million by the Yankees and Red Sox, so they embrace the underdog status in the AL East, and narrowly missed the playoffs after winning 90 games last year, thanks in part to Cy Young winner Blake Snell. The “opener” concept was done out of necessity -- the Rays dealt Chris Archer at the deadline -- but they signed Charlie Morton this winter to use as the No. 2 behind Snell. Beyond that, Tampa Bay traded for good-glove Mike Zunino to have behind the plate, and still feature Kevin Kiermaier and Tommy Pham at the top of the order. Just how bad was the Blue Jays’ offseason? Well, that depends, in part, on how well Troy Tulowitzki performs for the Yankees. Toronto chose to jettison Tulo in December -- despite owing him $38 million over the next two years -- and you can bet that GM Ross Atkins would prefer he not find his second wind in the Bronx while he’s still the Jays’ highest-paid player. Here’s a few other things for Toronto fans to be irritated about. The obvious service-time stalling tactics the Jays are using to delay the arrival of the sport’s top prospect, Vlad Guerrero Jr., who won’t see the Rogers Centre until mid-April in order for the club to gain an extra year of control. It’s standard operating procedure around MLB, so they’re not alone in that, but Guerrero is one of the primary reasons to watch the Jays settle into fourth place. 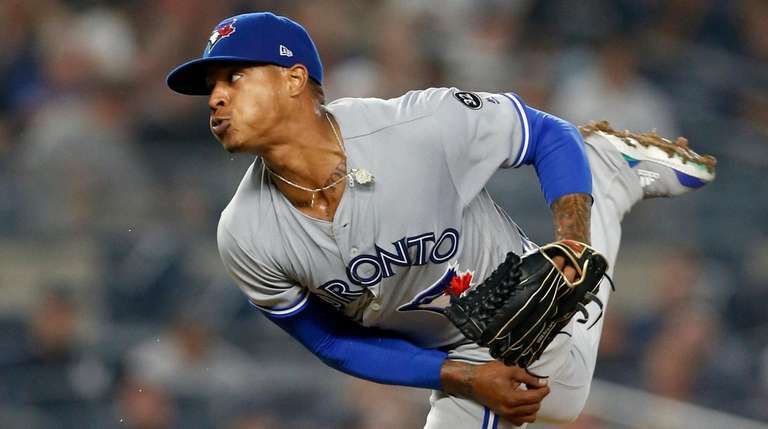 The other compelling storyline is the precarious Toronto future of Marcus Stroman, as the popular Ward Melville product seems very likely to be traded rather than get an extension. Was 2015 really that long ago? The Royals were the dynasty that never materialized, splitting their back-to-back trips to the World Series. And now just about everyone has split, with Eric Hosmer in San Diego, Mike Moustakas in Milwaukee and Salvador Perez -- the All-Star catcher who stayed -- now in limbo, lost for the season due to Tommy John surgery he had this month. The Royals finally gave free-agent Martin Maldonado a home as Perez’s replacement, but KC needs much more than that to boast of anything more than great brisket this summer. The speedy, toolsy Whit Merrifield is a reason to watch after cracking the top 20 in MVP voting a year ago, and the Royals doubled down in the wheels department by signing Billy Hamilton, who was non-tendered after six seasons with the Reds. Merrifield and Hamilton combined for 79 stolen bases last season -- more than the total of 15 teams. The only guarantee in Seattle this season, like most years, is that somebody will be traded. And probably more than one, as GM Jerry Dipoto simply can’t help himself. 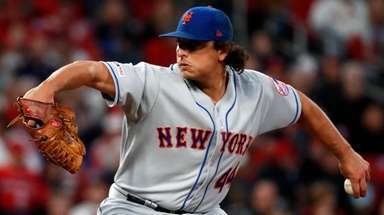 Dealing players is akin to breathing for the Dipoto, who sent Robinson Cano (and $65 million of his remaining $120 million) to the Mets, along with closer Edwin Diaz, in a stunning late-November swap. Not long after, Dipoto also shipped James Paxton to the Yankees, Jean Segura to the Phillies and Mike Zunino to the Rays. Not a good sign when the most interesting part of your offseason is the players that were traded, but the Mariners are in rebuild mode, and some of the acquisitions -- Edwin Encarnacion, Mallex Smith, Jay Bruce -- could help them be somewhat competitive. For marquee value, signing Japanese star Yusei Kikuchi should get the Mariners plenty of attention as they look up at the Astros. Sure, the White Sox pursued both Manny Machado and Byrce Harper, but did anyone really think either would wind up there? Of course not. After a 100-loss season, and more stockpiling of prospects, U.S. Cellular Field (at it’s called for now) remains a lost corner of the baseball landscape. In fact, the White Sox are so far off people’s radar that most forget they even won the World Series back in 2005. It’s true -- they beat the Astros. Look it up. 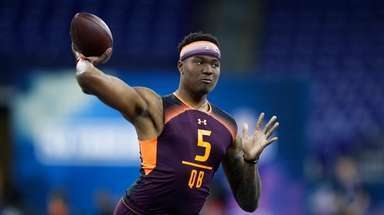 Since Machado and Harper snubbed the South Side, the most anticipated arrival is that of top prospect Eloy Jimenez, who so far has been held down in the minors to delay his service clock. it stinks for Jimenez, but the White Sox are in no hurry as they won’t challenge either the Indians or Twins in the AL Central. Forget 2019. That should be the Rangers’ slogan heading into this season, because the franchise is punting on this year with an eye toward the opening of the new building, Globe Life Field, in 2020. If the name sounds familiar, it should. Their current stadium is called Globe Life Park, so just a little tweak for the $1.2-billion upgrade across the street. As for the players, well, the former Met Asdrubal Cabrera signed on for $3.5-million to play third base after the retirement of Adrian Beltre and Lance Lynn came over on a three-year, $30-million deal. Also, Chris Woodward left the Dodgers’ coaching staff to replace Jeff Bannister as manager, and now basically gets a free pass in the ramp-up to next year’s grand opening. Elvis Andrus remains as the franchise cornerstone, and Joey Gallo’s tape-measure blasts will provide entertainment, but otherwise this is an AL West bottom feeder. Can we talk about Miguel Cabrera’s contract? Over the last two seasons, the Tigers paid him a total of $58M for a combined .754 OPS while he averaged 10 homers and 41 RBIs over 84 games. Oh, and it gets better. Cabrera, who turns 36 in April, is still owed another $154M through the 2023 season. The silver lining? It’s probably safe to assume his pair of $30M vesting options won’t be a factor — he’ll need to finish in the top 10 in the MVP vote to activate them. Putting Cabrera aside, the Tigers got disheartening news last week when they lost Michael Fulmer. After receiving a third opinion, Fulmer opted to have TJ surgery on his pitching elbow and will almost certainly miss the season. Fulmer was AL Rookie of the Year and was an All-Star in 2016, but he struggled to regain that form. 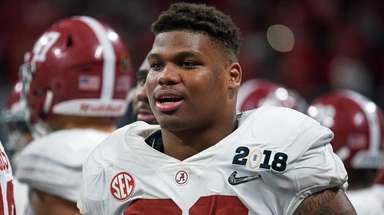 He was projected to be the team’s No. 1 starter. Pop Quiz: Name five Orioles, and we’ll spot you Chris Davis, Jonathan Villar, Trey Mancini and Dylan Bundy. Bonus question. Name the manager. OK, so maybe you came up with Mark Trumbo or Andrew Cashner. As for the successor to Buck Showalter -- one of the sport’s most recognizable skippers -- that’s Brandon Hyde, whose claim to fame was being the first-base coach for the curse-breaking Cubs in 2016. The whole point of the Orioles this season will be to roll up the win totals of everyone else in the AL East, a sad state of affairs for a once-proud franchise that plays in a true gem of a ballpark. Remember, this is a franchise that lost 115 games last year, and the Birds still had Manny Machado for half of it. We’re not sure it’s possible to be any worse, but the Orioles look poised to try. The ’62 Mets could have some company.